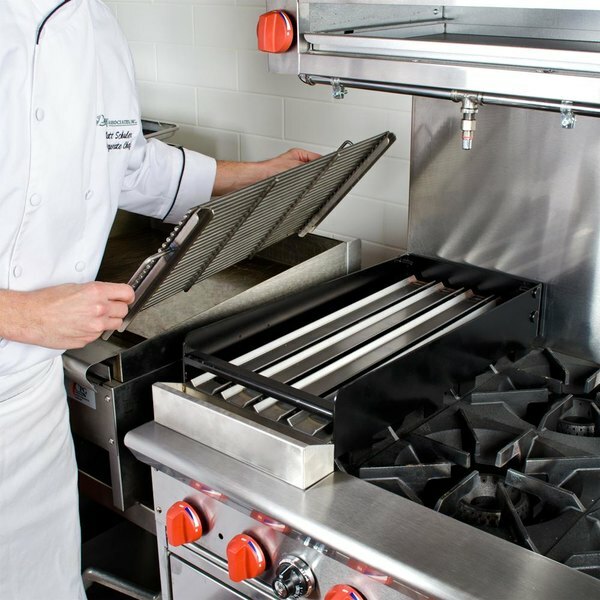 This versatile an add-on charbroiler covers two burners on your open burner gas grill and lets you cook sizzling steaks, flame-kissed burgers and more! 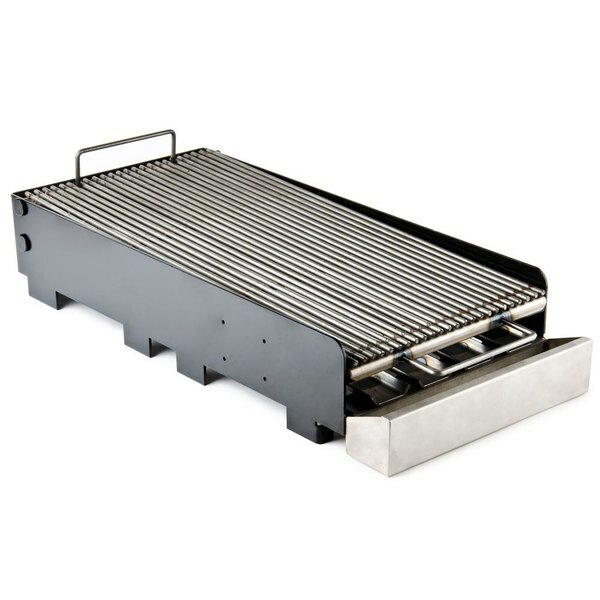 Made of durable 10 gauge still with 1/4" diameter steel rods and a removable grease trap, this add on charbroiler is built to last and easy to use. This is an economical solution and works great with my garland range. 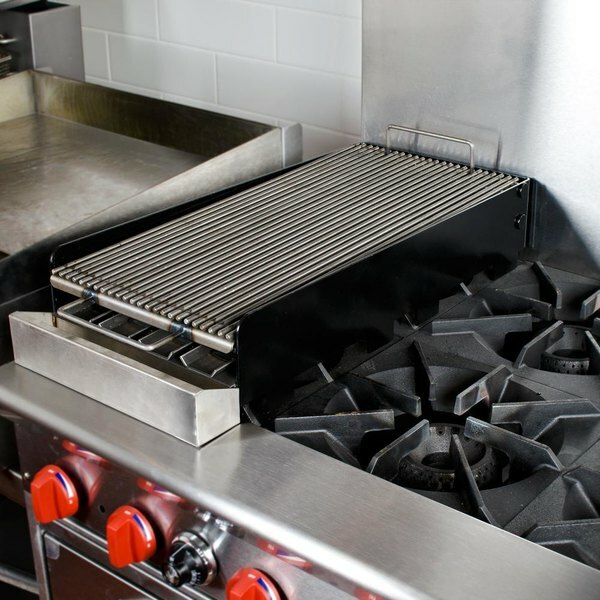 I have used it for 10 hours a day for the last 4 years and it holds up well.